Meet Bernie! 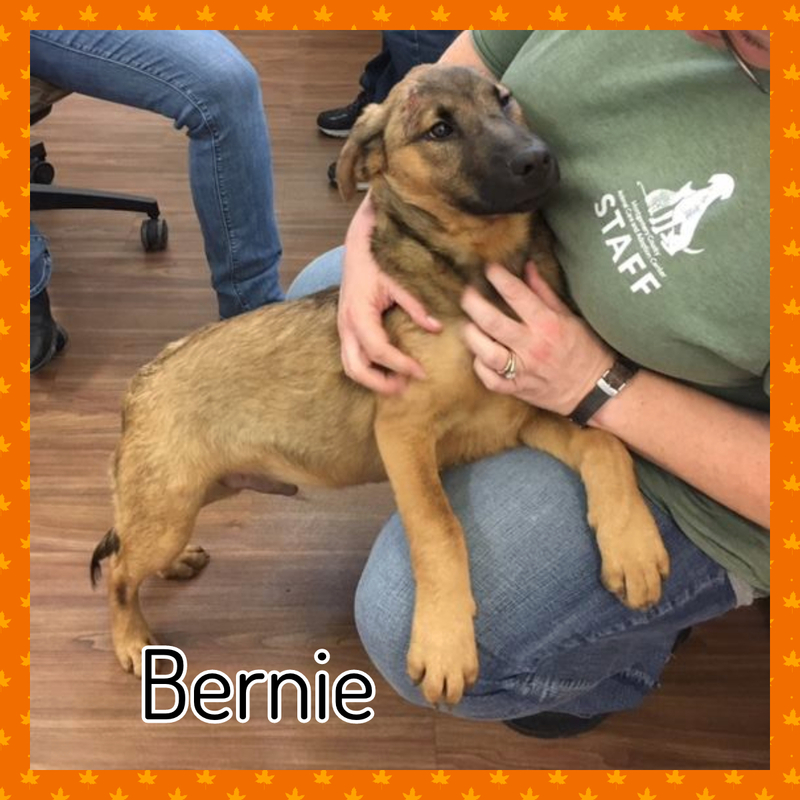 Bernie is a five-month-old shepherd mix. He seems to do fine with cats, he just ignores them! He loves all other dogs and playing with them or snuggling beside them. He’s amazing with kids and adults. He loves everyone! Bernie is crate trained and mostly house trained. He loves people and having attention. He wants to snuggle up when he gets the chance! He’s also okay on his own with a toy to chew on! He loves all toys: soft toys, hard bones, everything! He’ll lay down and chew a toy for hours. Bernie enjoys going on a walk to get his business done, but then he wants to come back inside to hang out on the couch or in bed! He would do well in any home with anyone who will love on him! He does get a little vocal in his crate when it’s time to wake up so I would make sure neighbors in an apartment complex wouldn’t mind! He’s super versatile, so he can go for a stroll with you or cuddle you all day on the couch. He’s the absolute sweetest baby who will hop up in your bed and cuddle all night. He’s so calm and sweet for a puppy and he loves everyone he comes in contact with. He’s also a great car riding dog! He’ll sit great and go with you on any ride short or far. Bernie is currently wearing an e-collar during his recovery from an eye surgery. Please read through our adoption policies and requirements at www.awfpva.org/adoptions prior to requesting an application. We require all animals in the household to be up-to-date on core vaccines. Dogs must be vaccinated against rabies, canine distemper, and Bordetella. Cats must be vaccinated against rabies and feline distemper. All of our animals are in foster homes. We will schedule meet and greets after approving your adoption application to ensure our fosters are only meeting with serious applicants. Please allow 1-2 week for approval as AWFP is is run by volunteers who are full-time veterinary students.